Bringing you the best the Tri-County region has to offer. North of Montgomery in Autauga county, Prattville is one of the fastest growing communities in the River Region, offering an excellent place to live and play. Prattville is home to the Legends at Capitol Hill Golf Course; part of the famous Robert Trent Jones Golf Trail. 'Heritage Park' - Located within Daniel Pratt Historic District, this park overlooks Autauga Creek and the manufacturing complex around which this New England style village was developed. Daniel Pratt founded Prattville in 1839, and patterned the town after those of his native New Hampshire. 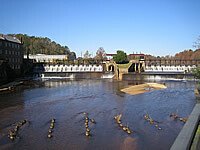 Pratt chose this site to manufacture cotton because of the abundant water power. Also know as "The Fountain City" due to the abundance of artesian wells in the area. From "Heritage Park", visitors can vew historic buildings that have been in continuous use since circa 1850. The Historic District is also listed in the National Register, 1984. 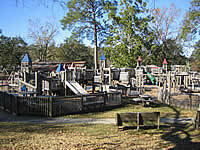 'Pratt Park' - Visitors can enjoy the extensive playground, fishing in the pond, feeding the ducks, or just a stroll around the park path. 'Autuaga Creek' - Adjacent to the old manufacturing complex featuring the historic Prattville Mill. The adventurous can also enjoy a canoe or kayak trip down the Autauga Creek Canoe Trail. © Copyright © 2012 TheRiverRegionOnline. All rights reserved.